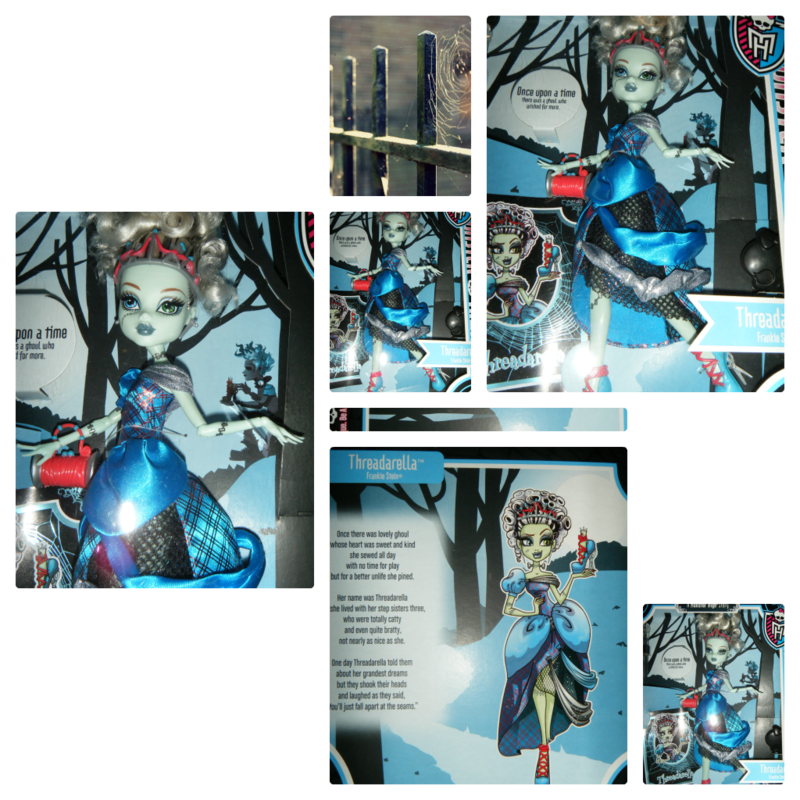 Back to the Halloween theme, and since the diamond edition of Disney's Cinderella came out recently I figured now is the time to talk about Monster High's Scarily Ever After line and in particular Threaderella. I love fairy tales and when this line was first announced she was the one I was instantly drawn to. Frankie is dressed in a deep blue dress that I just adore and it looks like she could have sewn it together herself. I like how part of it looks like the typical ball gown and the other is typical Monster High. Her hair is curled ontop of her head and held in place by her red tiara. Her shoes have sccissors for heels and the red laces are made to look like sewing thread with the needle still attached. 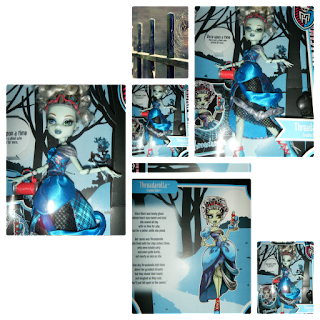 She comes with a Threaderella storybook which is their version of the Cinderella fairytale, and it is wonderful, with great artwork. In the background of her box you can see her prince charming holding her shoe. This doll and box are both incredibly detailed and that adds something great to this line, and to me that makes it just a little more special than some of the other lines.